Miranda visits his favorite neighborhood spots and Hamilton's Broadway theater. Odds are, to make your dreams come true, you’ll need some help—both in terms of loyal friends and a credit card or two. 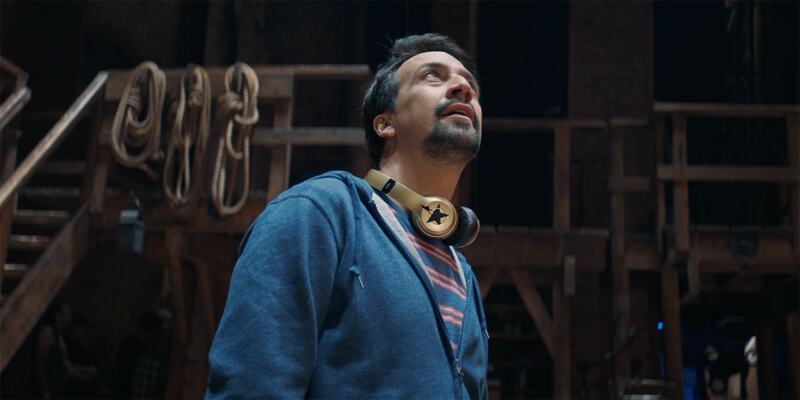 In a new ad starring Lin-Manuel Miranda, the creator of the pop culture phenomenon Hamilton, American Express persuasively makes the case its financial services are a friendly hand supporting you on the road to success. Two edits of the commercial created by agency mcgarrybowen—a 60-second spot and a 30-second version—both focus on Miranda’s connection to Washington Heights, the neighborhood in New York City where he grew up and now lives. In the ad, he waxes philosophical while visiting actual businesses and locales notable to his life and career. There’s Dichter Pharmacy, where he picks up coffee on the way to the local barbershop, where he cracks jokes with friends. There’s a visit to Hunter College Elementary School on Manhattan’s Upper East Side, where he actually substitute-taught for a year, in 2002 (and, some years before, was a student). And naturally, there’s a visit to the Richard Rogers Theater, on West 46th Street, where Hamilton has enjoyed its smash Broadway run since 2015. In other words, the ad puts a premium on authenticity—to good effect. Miranda was intimately involved in creating the spot, recruiting family and friends to appear in it, and co-wrote the soundtrack, “Mañana” with longtime collaborator Alex Lacamoire while on set. The ad ends with scenes of Miranda on the piano at home with his wife, Vanessa Nadal, and looking thoughtfully out from a rooftop towards the George Washington Bridge. “Go out into the world knowing someone has your back,” says Miranda before reciting the tagline. The ad’s attention to detail pays off, creating a convincing air of intimacy and camaraderie around what’s fundamentally a broad message about money—how to spend it, and whether to borrow it. With the English version of the ad launching today—timed to coincide with the U.S. Open—a Spanish version will follow in the coming days, and the campaign will continue to run until Small Business Saturday, the post-Thanksgiving November holiday launched by American Express. Oh, that's not a sticker, those are my custom guys. Can't really wear 'em on the A train, but I love 'em. According to AmEx, the ad is meant to celebrate the true story of how Miranda’s community, rooted in Washington Heights, “has fueled his personal and professional growth” (his first hit musical, In the Heights, is famously set there) and how the company has helped him along the way (he’s been a cardholder since 1996). Even the 30-second version does an excellent job of packing in the message as Miranda’s voice manages to lend both authority and approachability to the endeavor. Copy that might otherwise seem abstract, grandiose, or pretentious has benevolent wisdom from the guy who is a household name largely because he managed the unlikely and delightfully geeky feat of combining hip-hop and musical theater into a widely loved contemporary live show about a historical figure who’s been dead for more than 200 years.